So lately I've been getting a lot of questions about my skincare routine and my tips for keeping my skin looking flawless. I've even been getting comments when I run around West Hollywood with no makeup on (talk about the best compliment ever!). I figured since so many people were asking that I would spill all of my "secrets" here for you all. 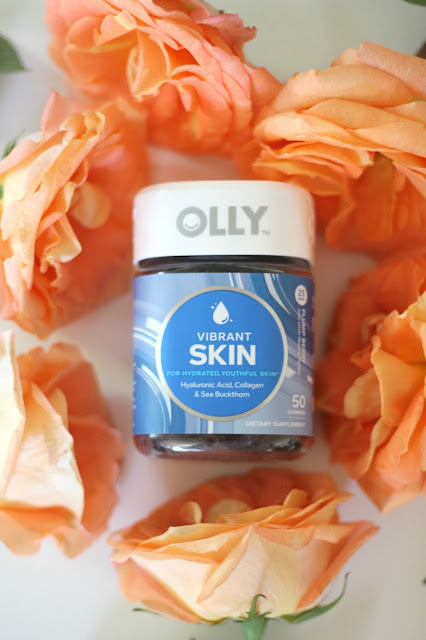 First of all, I have been religiously taking these Olly Vibrant Skin gummies. They are a game changer for me. I've actually got my entire family hooked on them, even my brother! He actually came to see me the other day and asked to borrow some of mine because he ran out and his face wasn't "looking the same!" haha. I get mine at Target and have actually started using some of their other products and love them too! Next, I always use sunscreen on my face when I go outside. This is something I never used to do and I feel like it was starting to catch up with me. I get freckles easily and my skin is easily damaged from the sun. Unfortunately, a lot of sunscreens irritate my sensitive skin so it's hard for me to find something I absolutely love, especially for my face and neck. These Supergoop! ones are amazing though. They don't irritate my skin and I love that they have multiple kinds of sunscreen for your face. I use the everyday sunscreen with SPF 50 for days I'm planning on being active outside, like beach days and days I go for jogs outside. 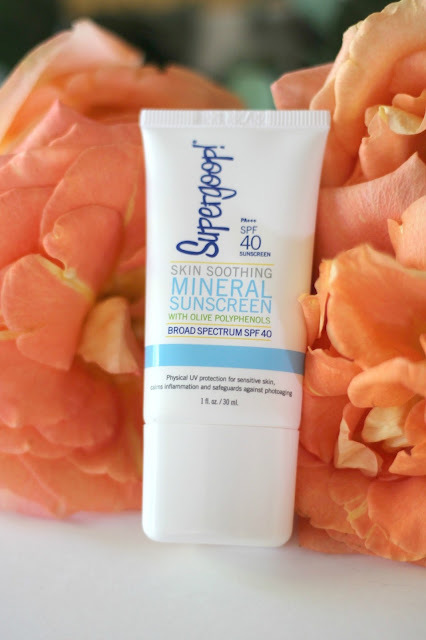 I use the skin soothing mineral sunscreen with SPF 40 for every other day, like when I'm driving and running errands around town. My favorite is definitely the mineral sunscreen but I love them both. 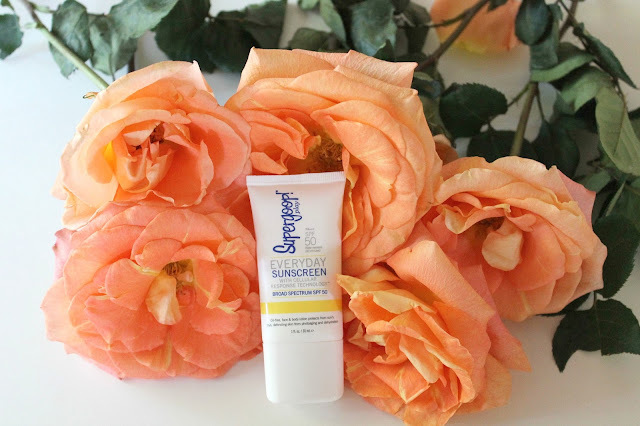 Wearing a sunscreen daily helps prevent damage from the sun and premature wrinkles and signs of aging (yes please!). Lastly, I use a lip balm everyday so my lips don't get chapped. I feel like when my lips are dry and chapped they make me look so dehydrated and lifeless. 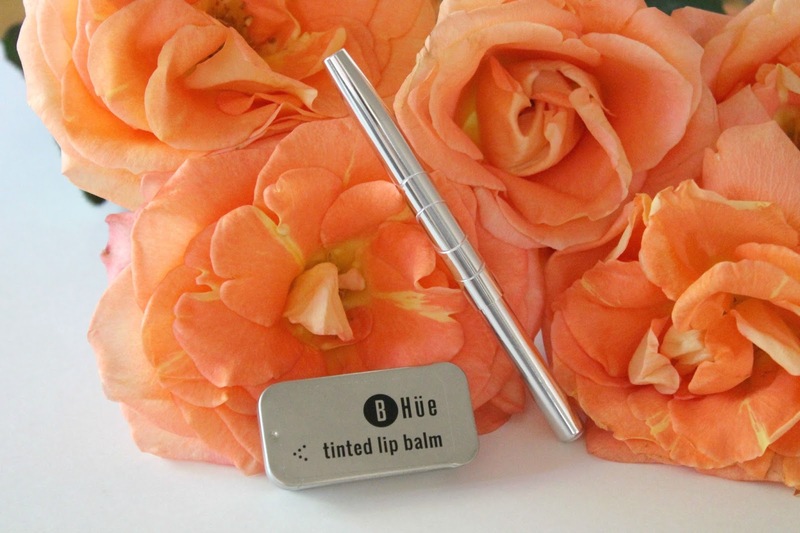 On days when I'm not planning on wearing any makeup, I love using my Bhue Beauty tinted lip balm. It's such a neat lip balm. It comes with a brush and you put the colorless balm on your lips, then it changes into a perfect "natural lip" pink color. It's really neat! I hope this was helpful for those of you who had questions for me! If you're curious about anything else feel free to comment here or email me! All products mentioned in this post were provided c/o, however, all opinions are my own.